2019 is a great year to get into personal training in the United States. Many personal trainers enjoy the profession because they get to help people transform their lives everyday as well as work in a relaxed environment that promotes health and fitness. With the right amount of training and a notable personal training certification under your belt, you can capitalize on the job growth of this market, attractive pay, great quality of life and need for health and fitness professionals in this amazing field. 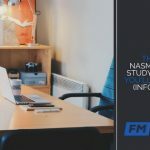 Let’s check out some of the personal training stats mentioned in the infographic to show why now is the right time to get your personal training certification and start your personal training career. According to the U.S. Bureau of Labor Statistics the number of personal training jobs in the United States is slated to grow about 10 percent until 2026. The government also reports that many of these trainers work in health clubs, fitness or recreation centers, gyms, country clubs, hospitals, group fitness studies, resorts and at clients’ homes. The median pay mentioned on the Bureau’s website ($38,160) is a bit dated and varies from the pay mentioned on the following stat which is significantly more than the income listed from 2016. Salary.com reports that the national average for full-time personal trainers in the United States is $58,318. 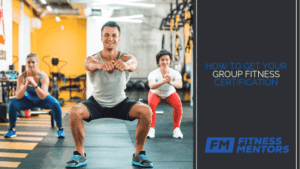 This means that half of the people who become personal trainers can expect to make $58,318 per year, with the upper echelon reaching as much as $83,770 per year. This website allows you to sort more specific salary data by zip code and is a good resource for determining what you may be able to make in your local city. 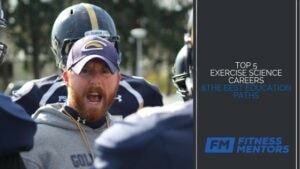 We also performed our own research on personal trainer salaries, check it out. It is worth noting that personal trainers with over three years of experience tend to make between $53,472-$61,698 a year, meaning that the more time you put in the more you are likely to make. 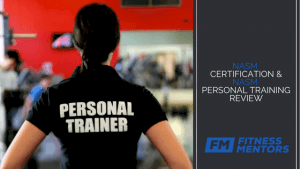 Fitness Mentors recommends progressing your personal training career by getting additional personal training certifications such as the Pain Management Specialist certification or the Special Populations Exercies Specialist certification. These additional certifications will provide you with more knowledge and make you more valuable to clients. An older but still relevant assessment of personal trainers revealed that it was regarded as the 18th best job in America. The variety of settings in which personal trainers can work was attributed to one of the most important factors for ranking it so high on the list. In addition to the diversity of work, CNN gave high grades to personal trainers in the areas of Personal Satisfaction (B), Low Stress (A), Benefit to Society (A) and Flexibility (B). What better ways to represent these fields than with Kayne, the Dalai Lama, Einstein and Gumby? Personal trainers are in a unique situation to lend themselves to the increasing obese population in America. At more than one-third, this group of people will likely contain a large segment that is interested in improving their health and fitness. As personal trainers are knowledgeable in fitness and increasingly nutrition, they can be a great resource for obese American’s looking for change. 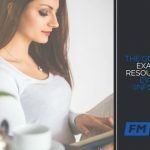 Fitness Mentors specializes in helping personal trainers get certified and prepare for the FM-CPT, NASM-CPT or ACE-CPT Exams. The previous certifications are the biggest and most highly recognized personal training certification bodies in the country. Once you make the decision to become a personal trainer, utilize all of our free and premium resources to help you start the career of your dreams! Lovely infographic, it makes things easier to read. I think using visuals really does make sharing information more fun and it would reach a bigger audience simply because people would take their time to actually read it. Thank you for this!